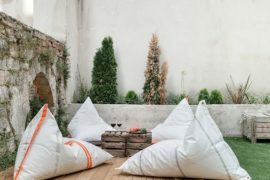 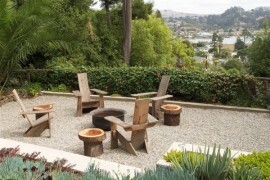 It’s time to pull out all the stops and turn your patio, backyard or even the small courtyard into a relaxing retreat that will allow you to bask in the glory of spring and summer. 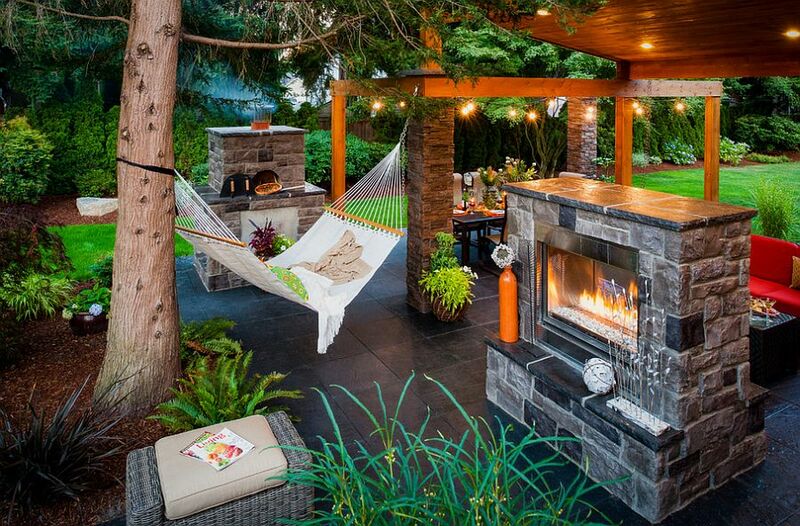 The fun should carry on till late fall when the chill of winter will take over once again. 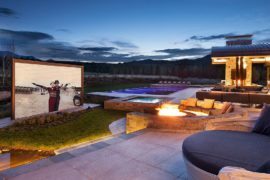 But that’s a really long time away right now, and we are all too busy getting our homes geared up for some fun summer evenings. 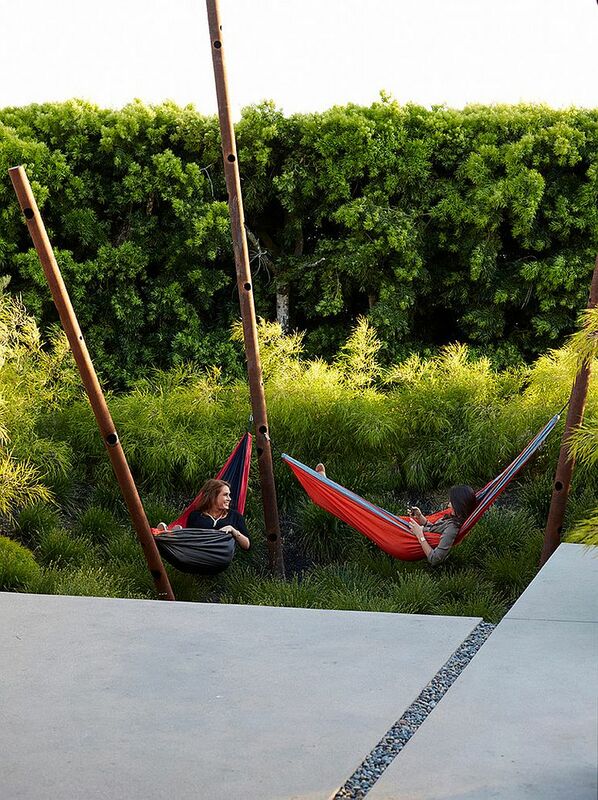 Yesterday we took a look at hot trends that will define interiors in the months to come, and today we take a look at a feature that promises to transform the outdoors forever – the swinging and soothing hammock! 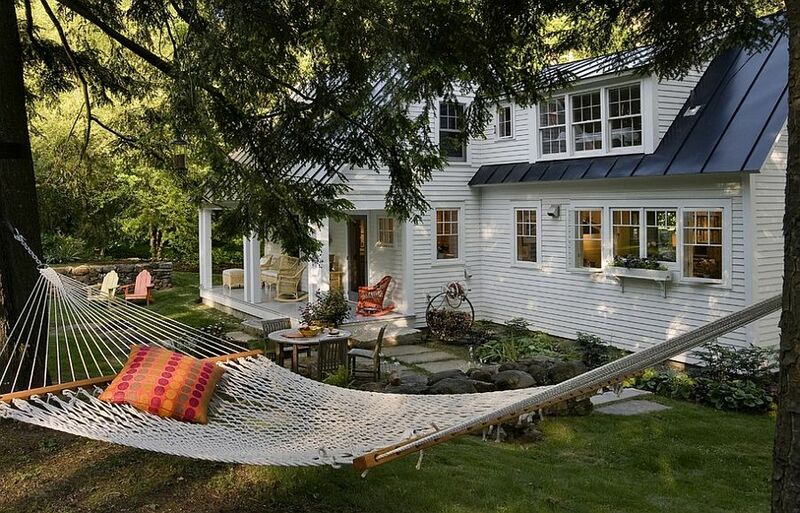 While hammocks are no longer relegated just to the outdoors and there are some awesome ways that you can invite them indoors as well, today we keep the focus firmly on open-air delights. 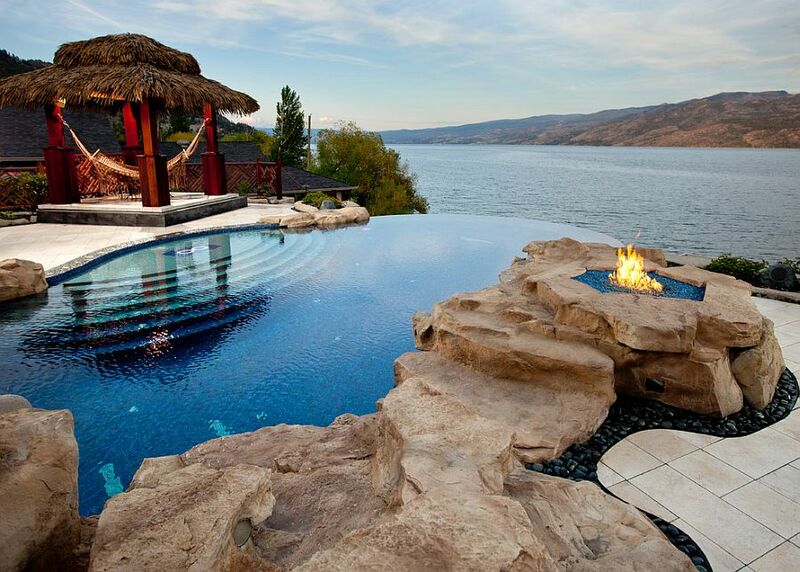 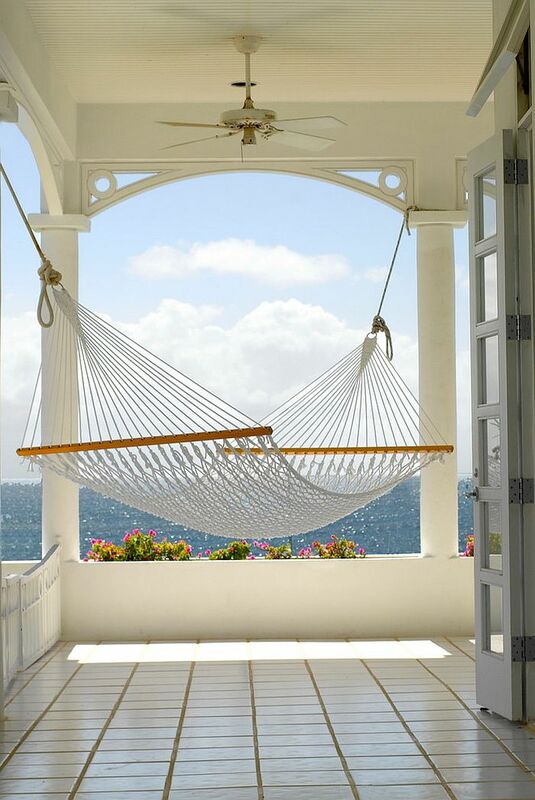 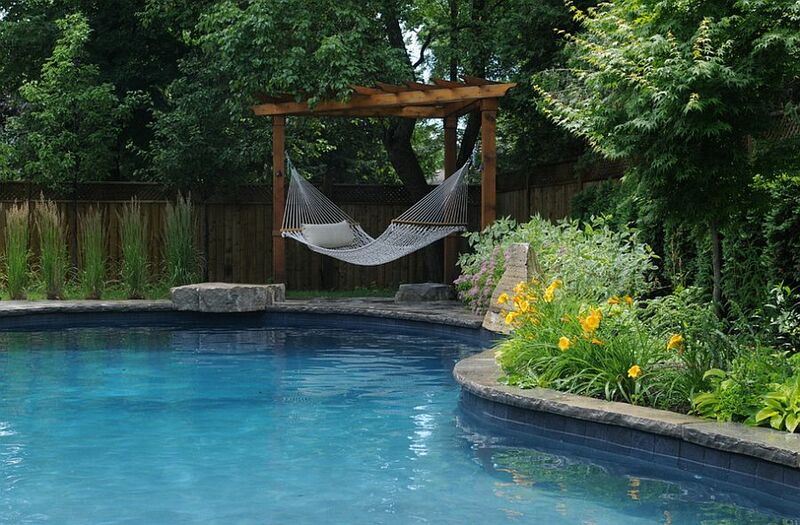 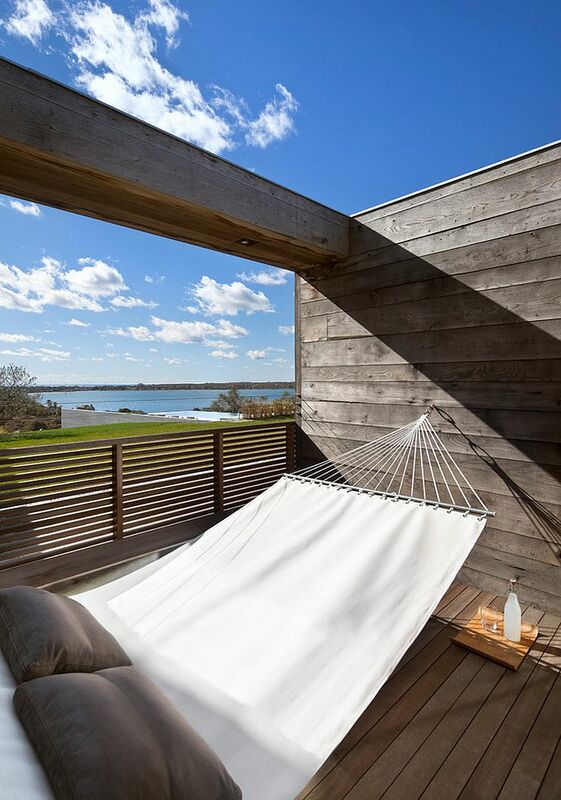 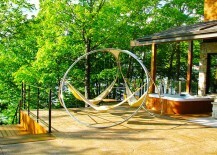 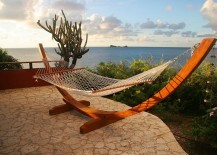 From a simple deck to a stunning poolside nook, hammocks take up very little space and offer a whole lot of comfort. 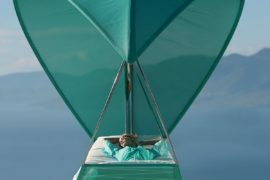 If you are still undecided on what works for you, the 25 inspirations on display today should make your choices a lot easier. 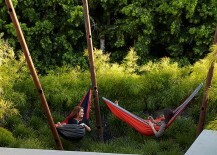 Dense Amazon forests most likely played the backdrop for the first hammocks in the world, and they sure were not designed for comfort and tranquil holiday time! 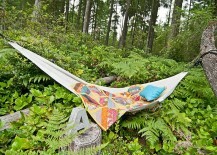 It was to catch some shuteye while making sure that you do not fall prey to some dangerous forest creature. 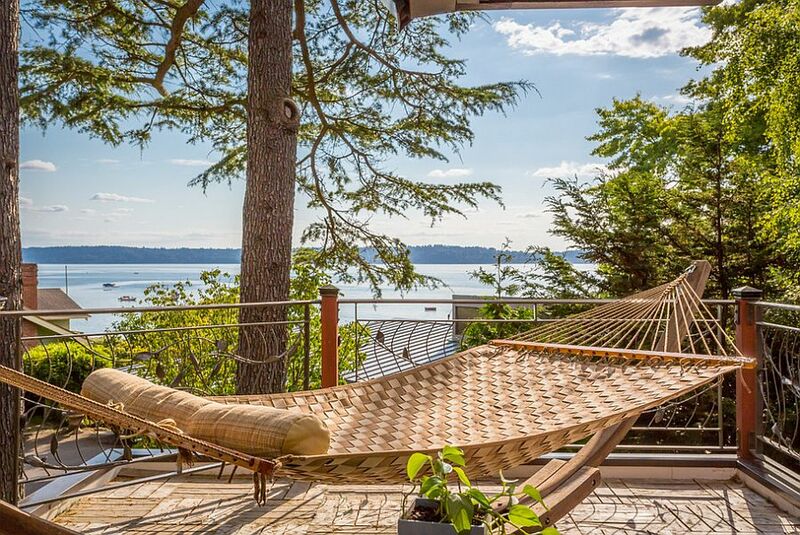 Of course, a hammock on your pool deck or one overlooking the distant lake or ocean comes with a lot less danger and is far more luxurious. 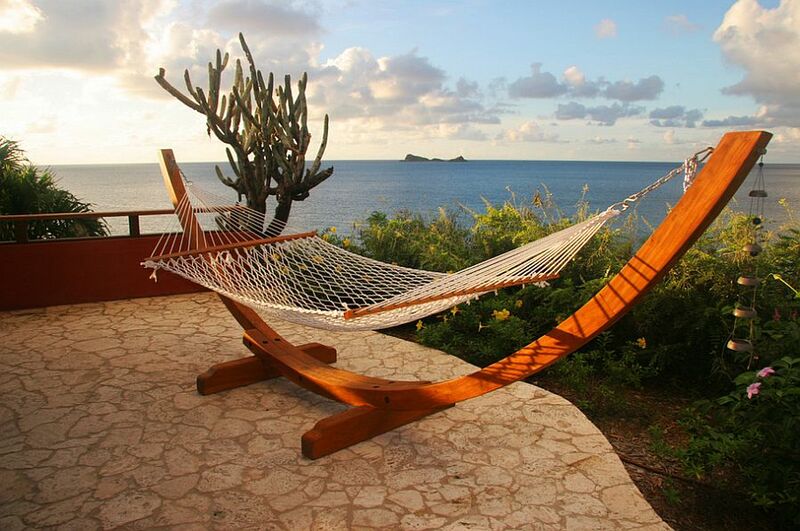 The waterfront is indeed the perfect spot for a hammock, and it plays into our noting of a dreamy tropical getaway with swinging palm trees, sand, waves and the restful hammock. 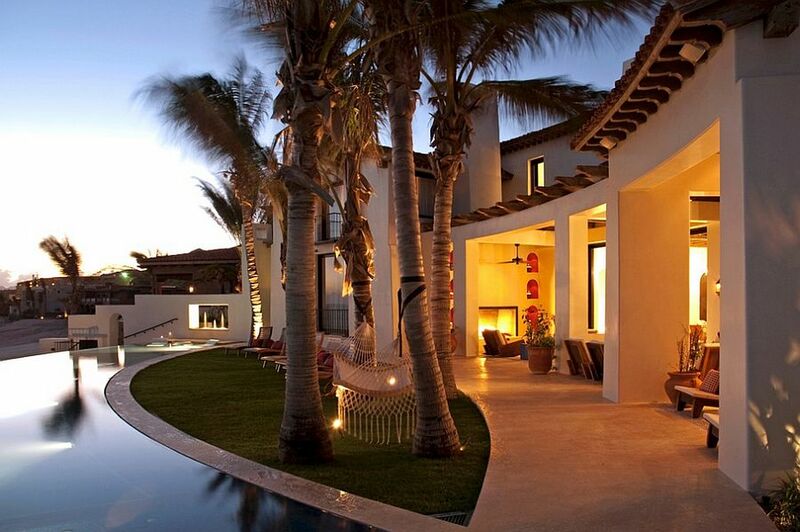 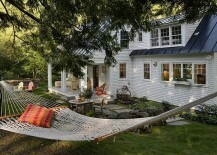 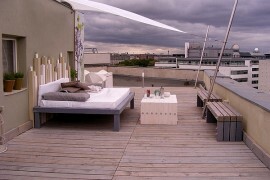 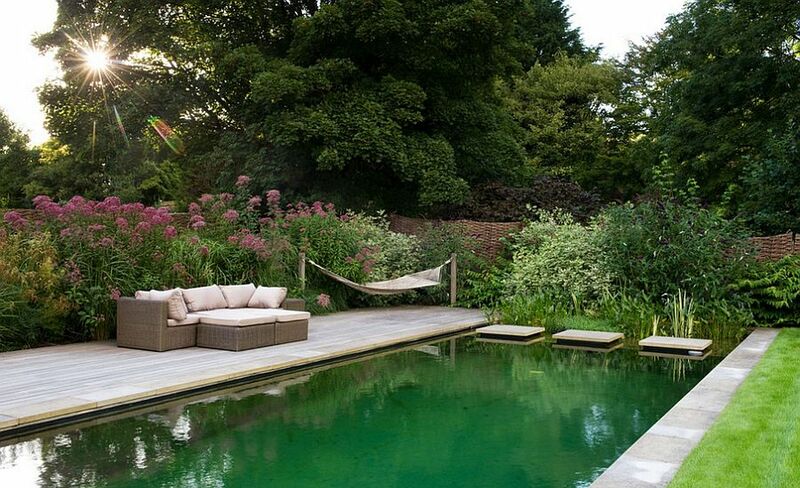 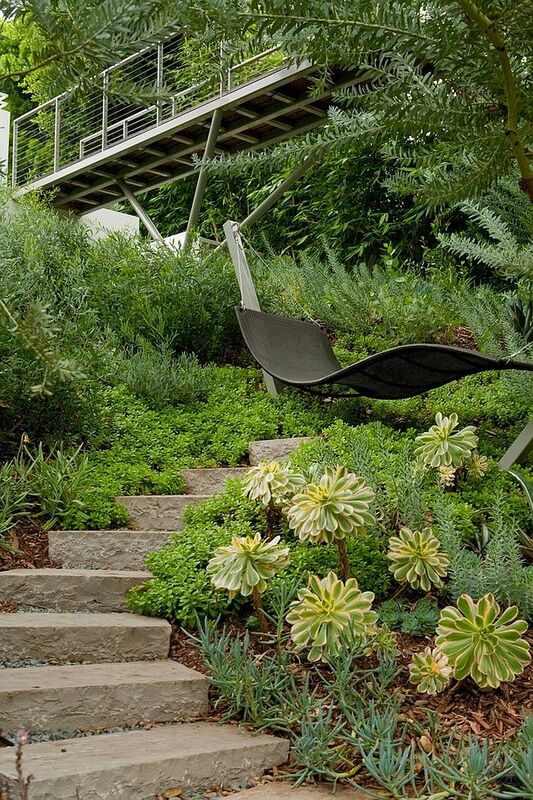 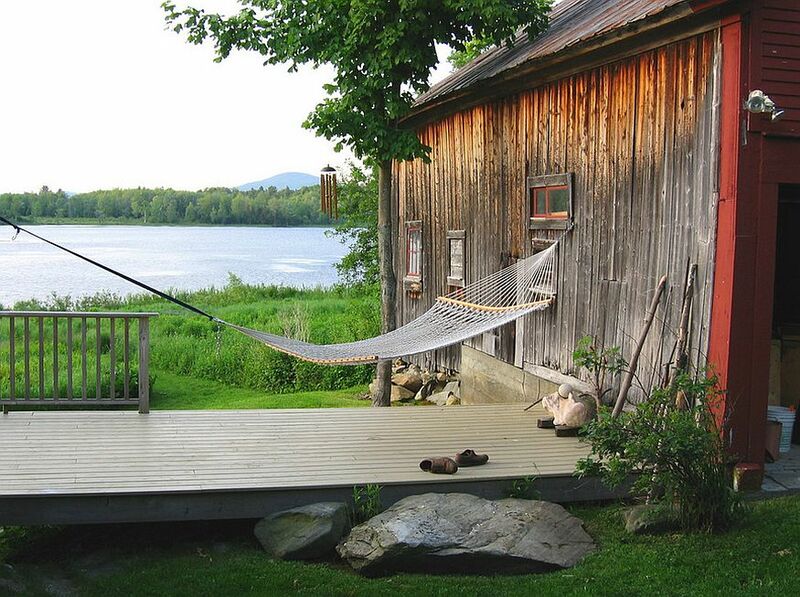 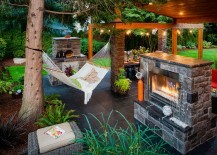 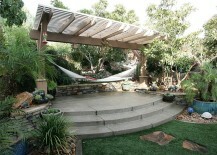 Lovely patio with a hammock that also doubles as a daybed! 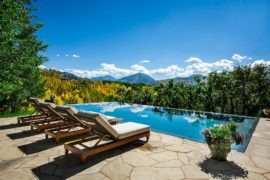 If you do not own a home on the beach or next to a lovely lake or even a natural pond, the swimming pool is the obvious next best choice. 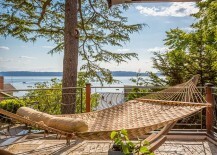 Two simple posts can help you in putting up that classic hammock, and there are also plenty of standalone models that really do not need any additional support. 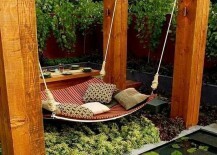 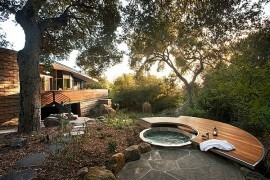 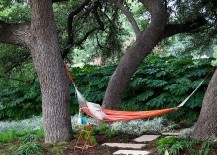 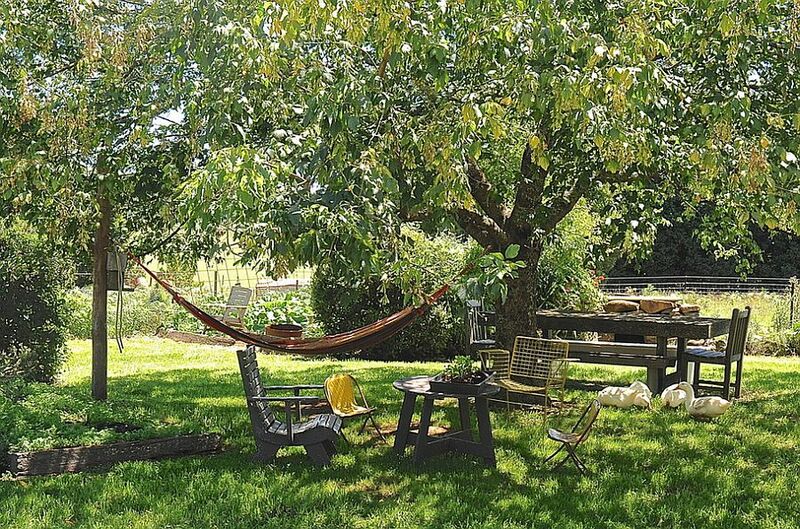 So don’t fret over not having any trees in the garden while planning to put up a hammock! 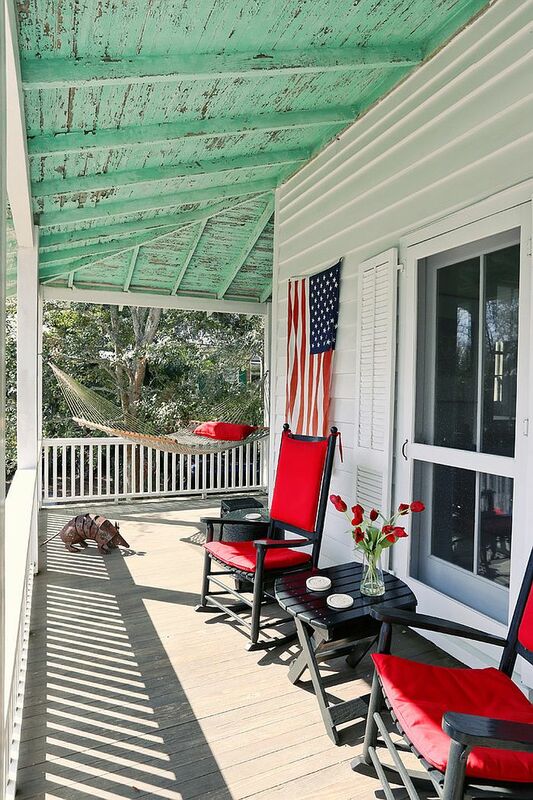 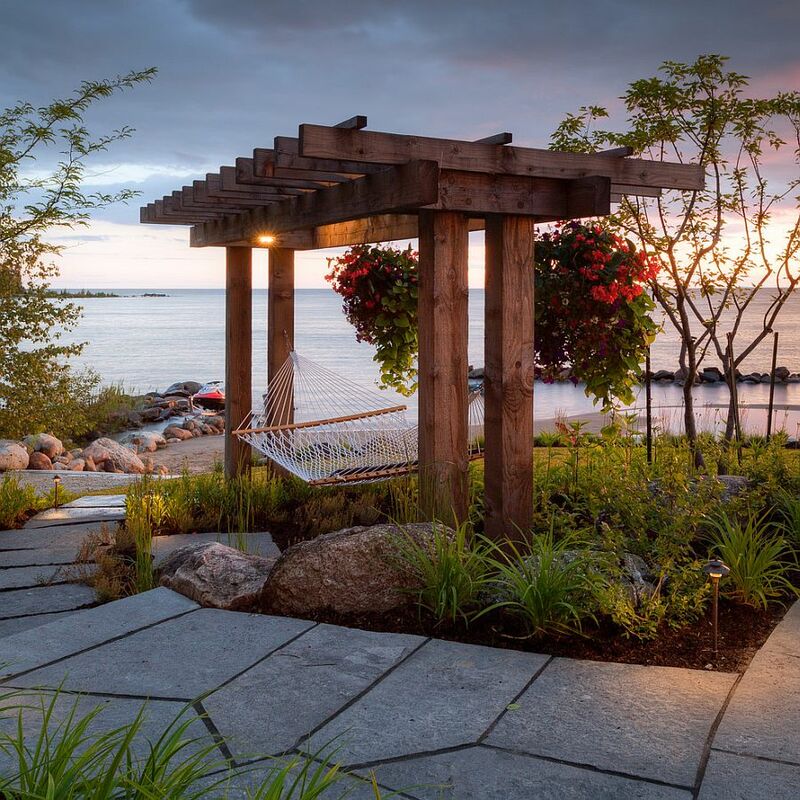 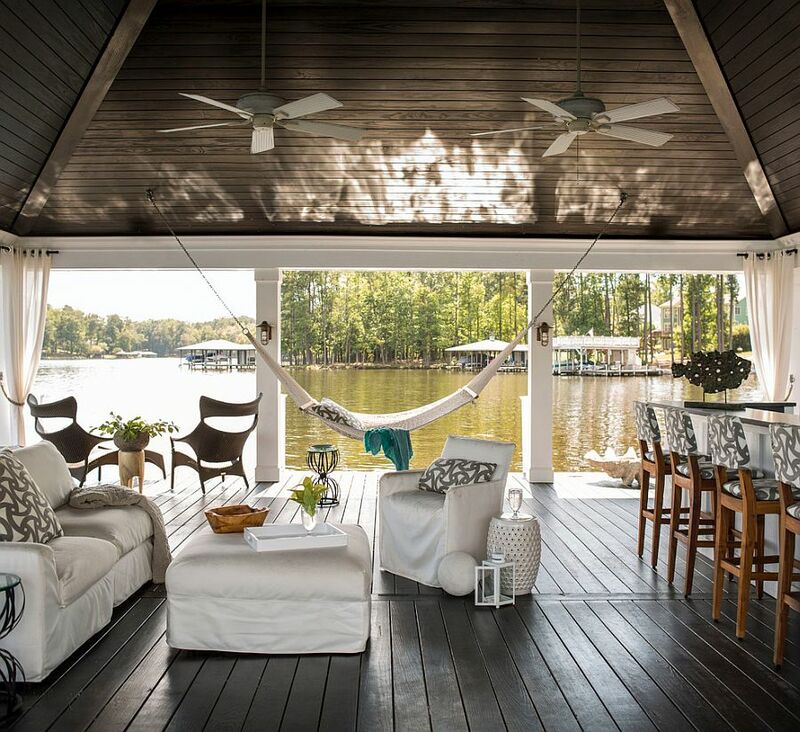 Not all of us have the same taste when it comes to a dream getaway, and while some love a cool waterfront, others prefer the lap of nature with plenty of greenery. 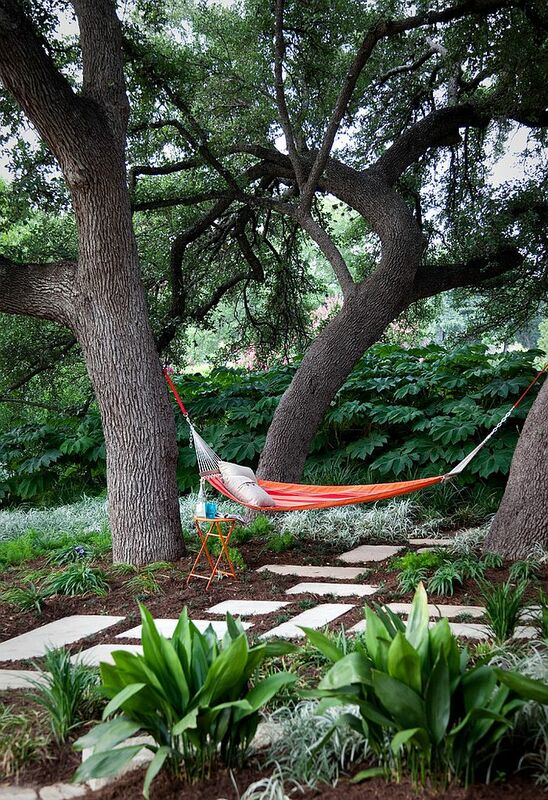 One of the advantages of hanging a hammock in a garden filled with shrubs, bushes and tall plants is the natural cover that you get. 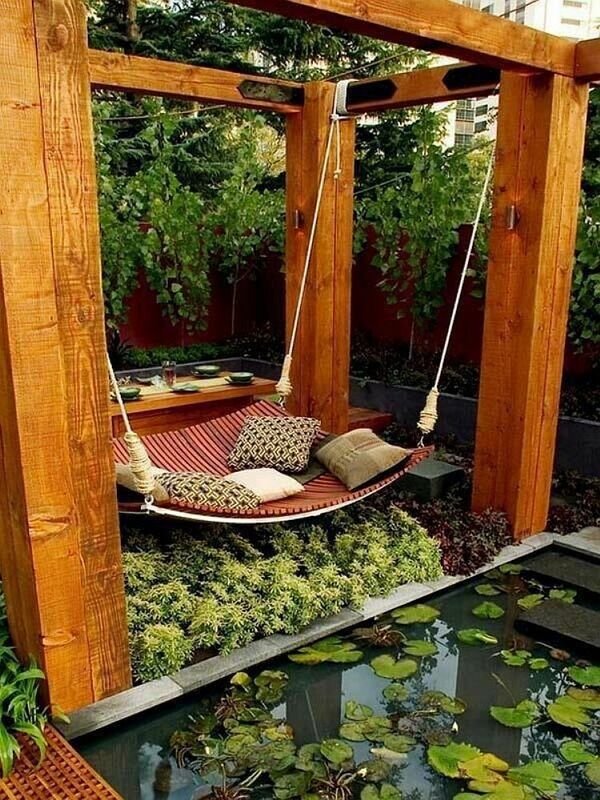 Privacy is never an issue here, and you also can put up the hammock in many different spots without worrying about adequate support. 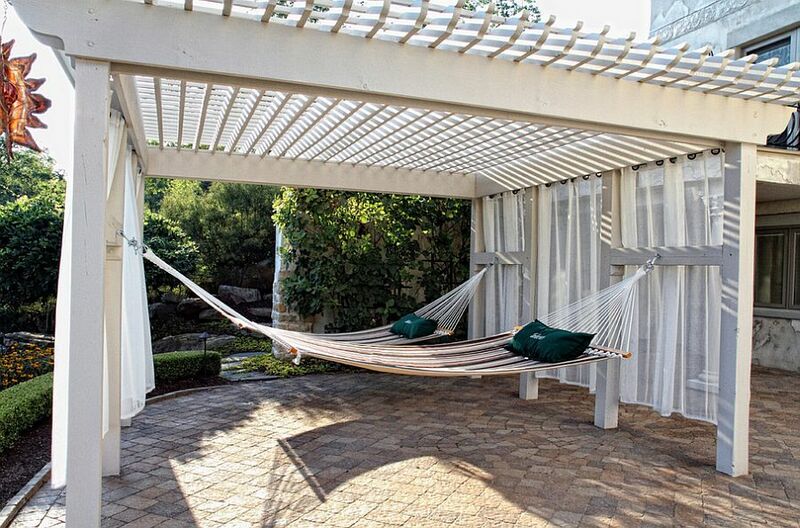 Contemporary hammock design ensures that even the tiniest backyards can easily accommodate the hammock, and remember that you will still have plenty of space to spare, thanks to this hanging recliner! 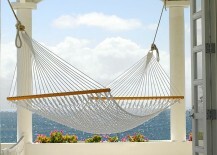 Each hammock has its own unique requirements depending on size and material, but experts suggest that the classic hammock requires a length of at least 12 feet and must be hung at 6 to 8 feet above the ground for optimum comfort. 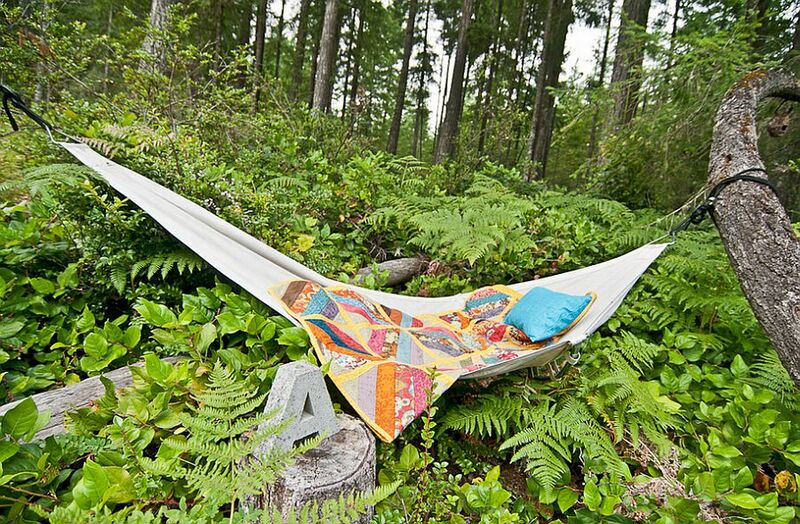 Again, this will vary depending on your choice of hammock and where you hang it, but always double check those support points and tree trunks and make sure that they can handle all that weight for sure. 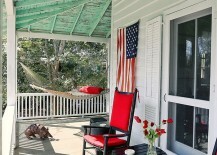 Deck It Out in Style! 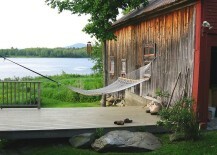 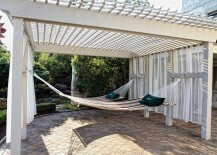 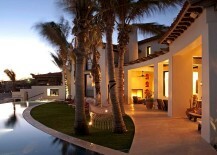 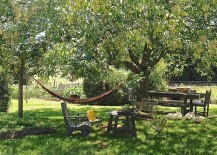 A hammock on the covered deck or patio brings with it a whole array of unique advantages as well. 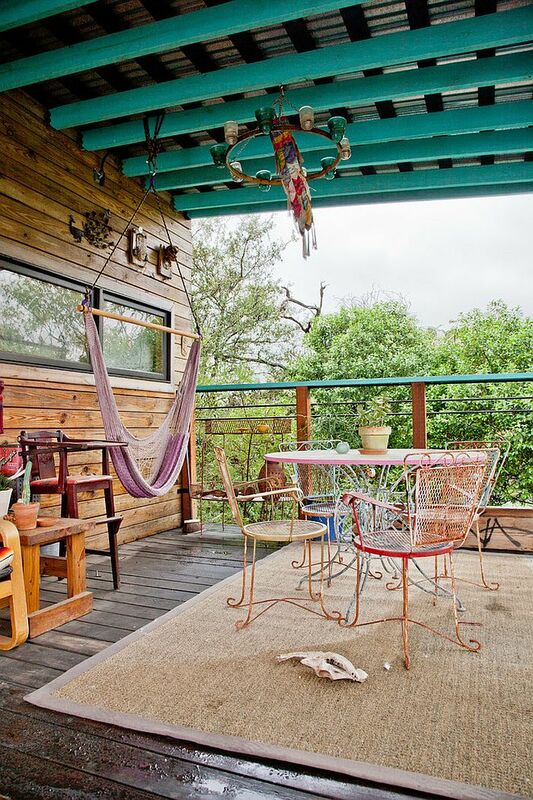 Sure, the magic of the open night sky might be missing, but you can enjoy this addition even on a rainy day without any trouble. 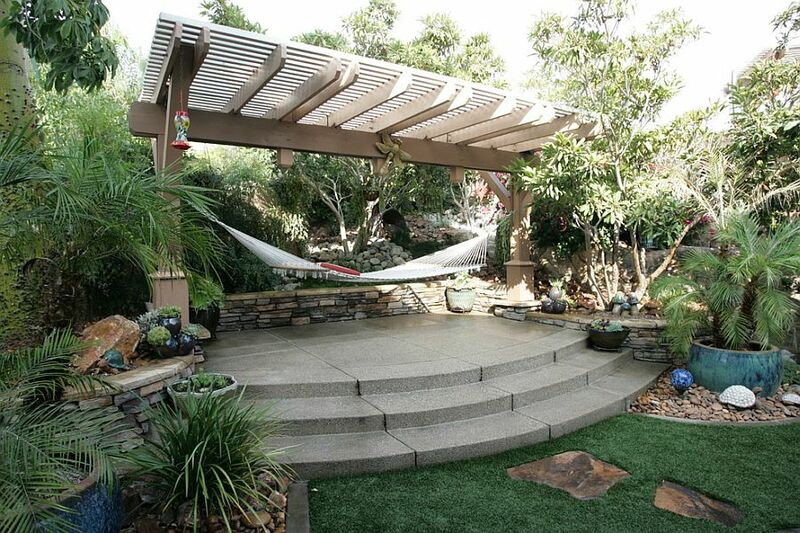 If you live in a region that has really hot summers, then a lovely pergola is another wonderful option, and you can even turn the area into an outdoor living and dining zone when you are not swinging away in your new hammock. 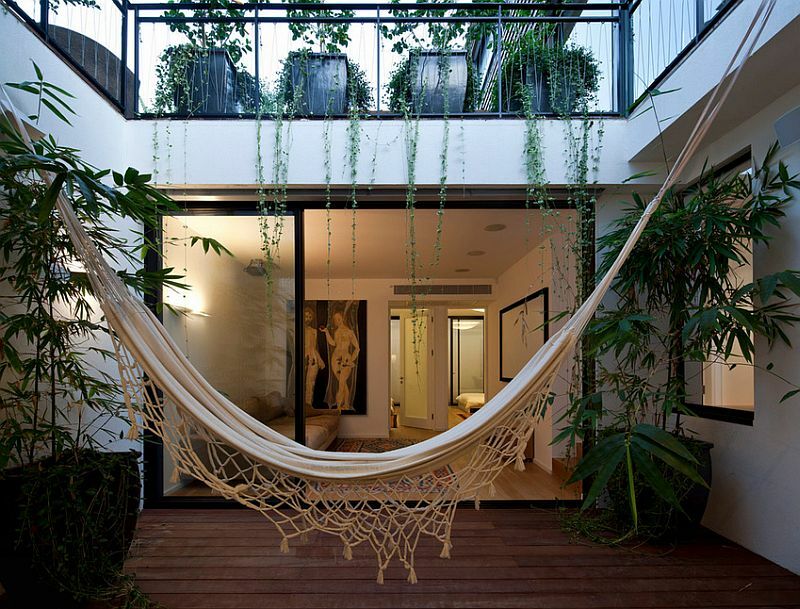 Courtyards are also great places for the hammock, as they let you use the structure of the home as support points, eliminating the hassle of installing new pillars for the hammock. 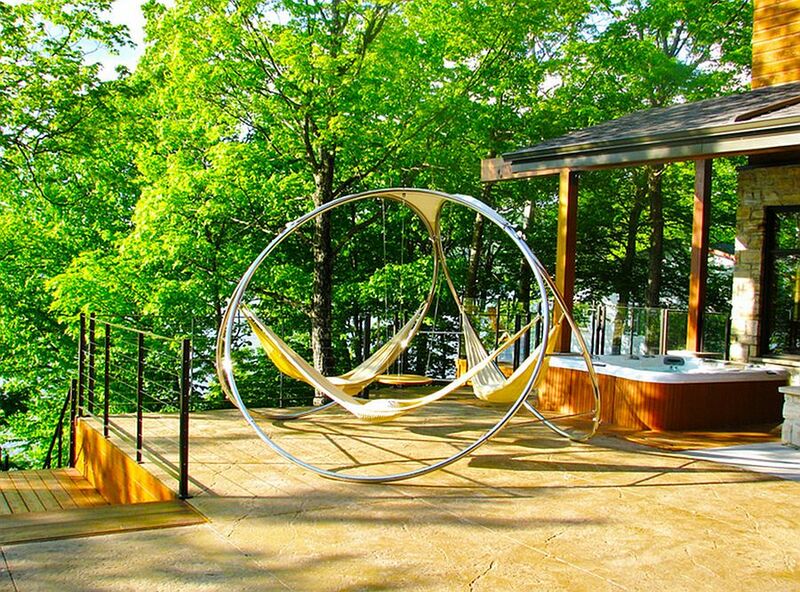 The possibilities are indeed endless, and you will definitely notice the slight bump up in your weekend downtime once you install that hammock and spend lazy evenings sipping away a martini or two!